The 2018 primaries are over. 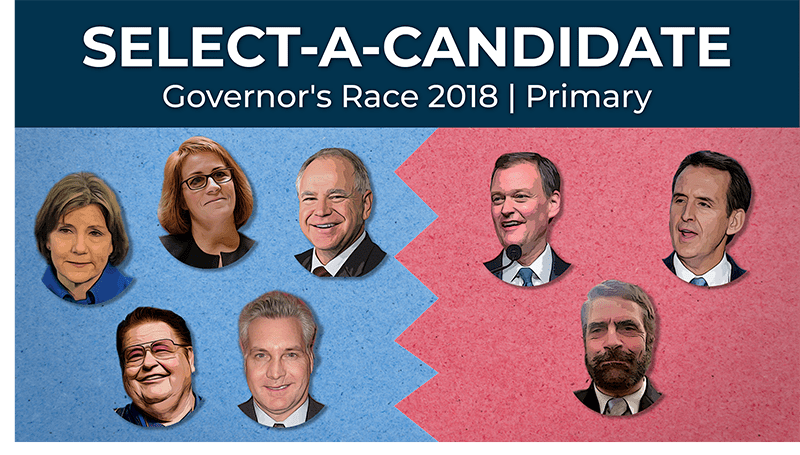 Click here for our latest look at who'll be on the ballot this fall. Minnesotans head to the polls on Aug. 14 to cast their lengthy ballots in a primary election. Voters will decide who is going to be on the November ballot for the most important elected positions in the state. Test your assumptions about the candidates. This quiz may challenge your thinking. To be clear: We aren't telling you who to vote for. The quiz is meant to show you who is running and their position on issues. After going through the 10 questions, you will see the candidate with whom you most closely align and will be provided a bit more information about his or her background. Share your results with your friends and talk about your result and what matters to you this election with other Minnesotans in our Ground Level Facebook Group. Do you have a question about the election? Ask MPR News.